This is a specially requested stitching pattern of Stitch’s friend. 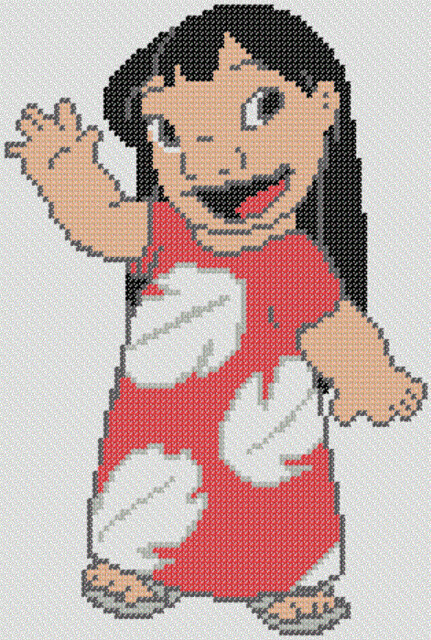 Lilo Pelekai is a high-spirited and strong-willed little Hawaiian girl who became best friends with Stitch and made him her pet. This cross stitch chart would be great for your children’s cross stitch project or as a gift for those who are fond of this wonderful animation character. Download this Disney’s Lilo & Stitch cross stitch zipped file (approx. 469kb — downloaded 208 times). Please DISABLE your pop-up blocker to access this.